Like most RUF works, the 2017 CTR uses a rear-engine powertrain layout. 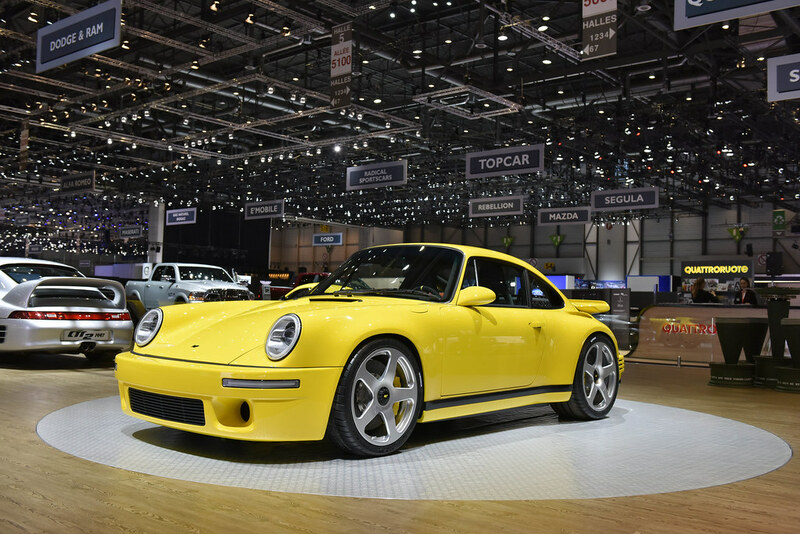 The 3.6-liter twin-turbo flat-six is built by RUF and inspired by the design of the engine in the original Yellow Bird. To that end, it uses a dry-sump lubrication system to provide constant oil supply and pressure during extreme cornering. Total output is 522 kw (710 PS) at 6,750 RPM and 880 Nm (649 lb-ft) at 2,750 RPM, allowing acceleration from 0-100 km/h (62 mph) under 3.5 seconds and 0-200 km/h (125 mph) under nine seconds. Top speed is 360 km/h (225 mph). In order to truly pay tribute to the Yellow Bird, the latest CTR will be available exclusively with a newly-developed six-speed manual transmission that sends power to the rear wheels through a limited-slip differential. “We began development on the new CTR five years ago with the goal of creating a thrilling, analog driving experience that combines an amazing power-to-weight ratio, manual transmission and modern racing technology,” said Estonia Ruf.